Craft brewing in larger or smaller scale has become very popular in many parts of the World. In this education, we train coming and present microbrewers the complete process from the raw materials barley, malt, hops, water and yeast into the finished beer – filtered or unfiltered. 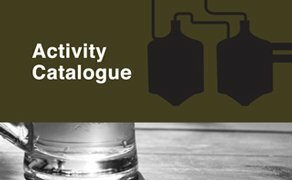 Cleaning, legislation, product development, calculations, taste testing, microscopy and bottling are subjects covered by specialists, who know the microbrewer profession. We will visit microbreweries to support the theory. As a part of the education, you will make an individual project based on a specific problem in your own brewery ending with a report and an oral presentation. The teaching is conducted in English, but the project report can be in Scandinavian or English. Microbrewers and beer enthusiasts, who are dreaming of starting their own microbrewery. 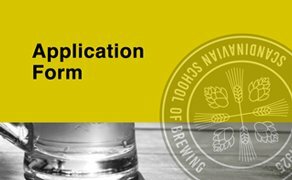 The Diploma Craft Brewer qualification is recognized internationally and you can become a member of ”Danish Master Brewers Association”. We require two months of practical brewing experience e.g. from a microbrewery as well as English skills. The education takes place at the Scandinavian School of Brewing in Copenhagen. 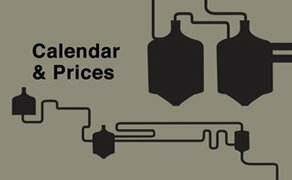 Please refer to ‘Calendar & Prices.